The entire reason as to why we are in Arizona opened this last weekend. 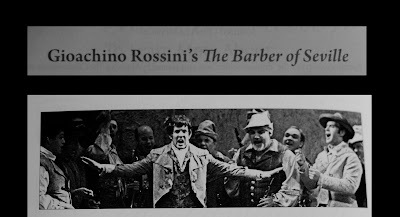 The photo above is from the Arizona Opera program, a photo from when Brian was in Barber in 2008. This is Brian's 7th Barber in 4 years and he sang the crap out of Almaviva. 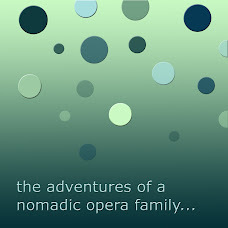 Opera Today said this of his performance: Tall, good-looking Brian Stucki is a wonderful new coloratura tenor who can sing the most graceful lines of Almaviva’s music in correct style. A good actor, he has all the essentials for comedic timing. I was able to attend thanks to some great childcare help (we love all Naones!) and it was a very fun show. Brian now has the week off and we are hanging out back in Tucson. he IS tall and good looking, and I love that photo too! I think he is pretty cute.